As a V-ray user, I really appreciate its ease of usage. In the open-source arena, very nice results for global illumination rendering can be achieved. However, in my opinion, as of this writing, none can compare to commercial renderers such as V-ray in terms of ease of use and rendering speed. In my opinion, one of the most useable of the free biased Global Illumination renderer is Yafaray. 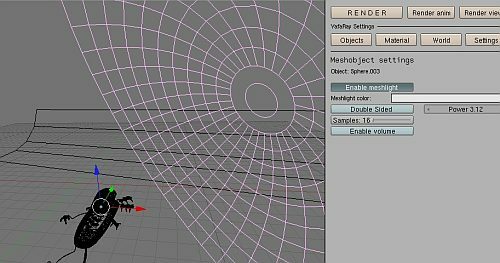 You can now choose to use Yafaray, either with Blender 3D or Truespace. However, Yafaray does not comes with default settings that make good renderings. 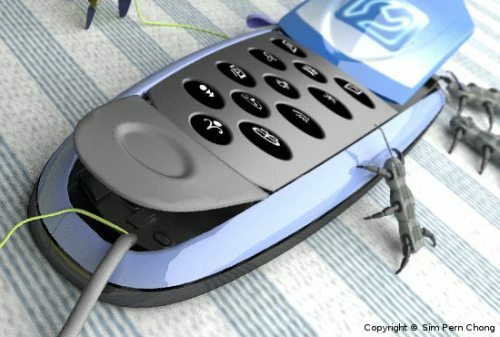 For this article, we will focus on some Yafaray settings that aid in giving reasonable results. 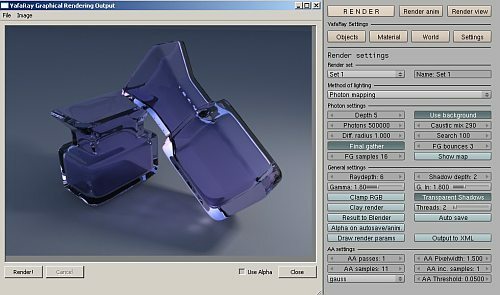 This screenshots below pertain to Yafaray for Blender 2.4X. This article will not cover Yafaray basics. For learning the fundamentals of Yafaray, please click here. 1. Lower AA Threshold, coupled with multiple passes help to clean up grains more thoroughly. AA Threshold with value approximately or lower than 0.005 allow a tight scanning area for the passes to clean up the noise. 2. For Photon Mapping, diff radius appears to influence the intensity of image noise and white spots. Lower values tend to give nicer results. However, diff radius takes into account the real scale of the scene. If you do not need colour bleeding, Direct Lighting + Use AO can give nice and fast result without image noise and white spots issues. 3. 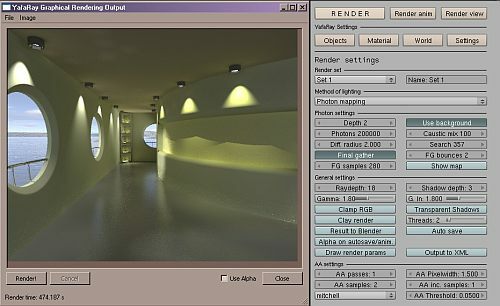 For creating caustics, Photon Mapping is the easier option. Use a small light source such as an area light or mesh light to focus a caustic effect. 4. Mesh lights can be used to create nice realistic lighting. In the example below, a hemisphere-shaped mesh is used as a mesh light. 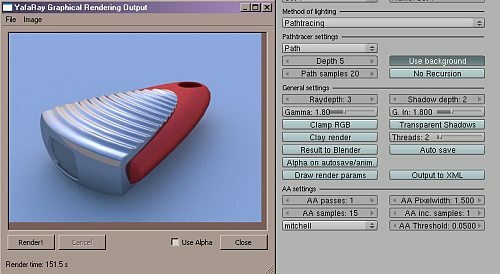 The resultant rendering using Mesh light is shown below. As a general rule, objects should also have wall thickness to prevent some of the problems with rendering artifact issues. Great Article; it is always nice to see users use the potential of yafaray. However I disagree with your first tip. Increasing the number of AA Samples is an inefficient way to improve the quality of your render as every pixel is sampled many times. To remove noise/jagged edges it is a better usage of render time to increase the number of passes and decrease the threshold. If you don’t decrease the threshold very few pixels were be re-sampled and the image will remain noisy, but decrease it to >0.01 and the adaptive nature of the render will give you a smooth, fast image. Thank you. This was helpful! yafaray is great but too tricky for noob, thanks for this article.